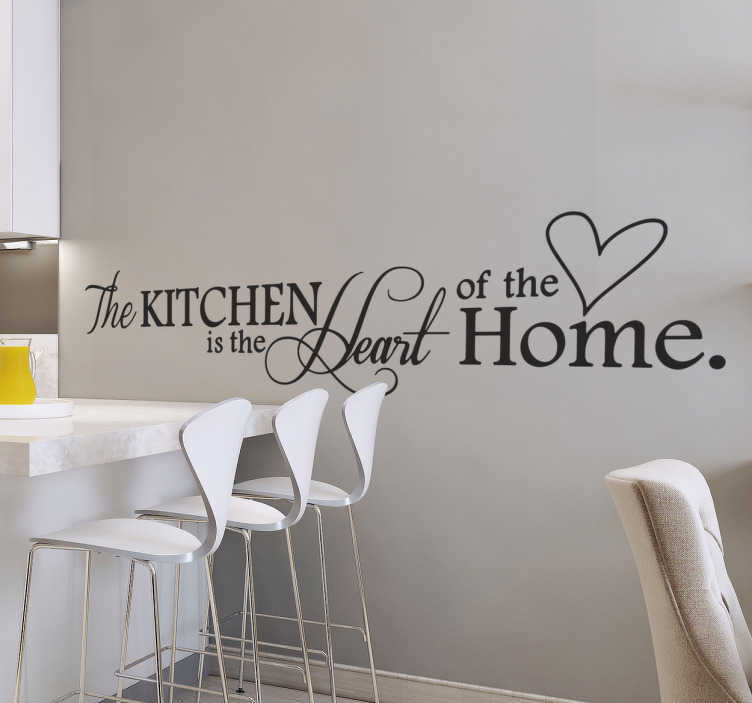 "The Kitchen is the Heart of the Home" wall sticker for kitchens. A lovely design those who love to cook or be together with their family in the kitchen. Our kitchen wall stickers are easy to apply and leave no residue upon removal. Made from high quality, anti bubble vinyl.